I love my blog. Maybe more than anyone else. Probably. No. In all likelihood. No. It’s beyond that – it’s definitely more than anyone else. AskAHoosier.com. That’s my blog. You’re reading it right now. BLUF. Bottom Line Up Front. If you don’t read anything else, fine. Maybe you’ll get this much, at least, and answer me, help me out on my troubles, and move on. All within about three minutes. On the other hand, maybe you or someone will read the rest of this and identify, even contribute to a longer discussion and we’ll all get more help and encouragement than we expected. Here they are, up front (almost, anyway…), at the risk of losing everybody reading; at the risk of answering my own challenges – my concerns for my blogging life and my questions – too soon and giving the bottom line too quickly. Frankly, I don’t care. You may have something you need to do. So get it over with right now. I am not sure re-posting is cool. Too many words in a blogpost. 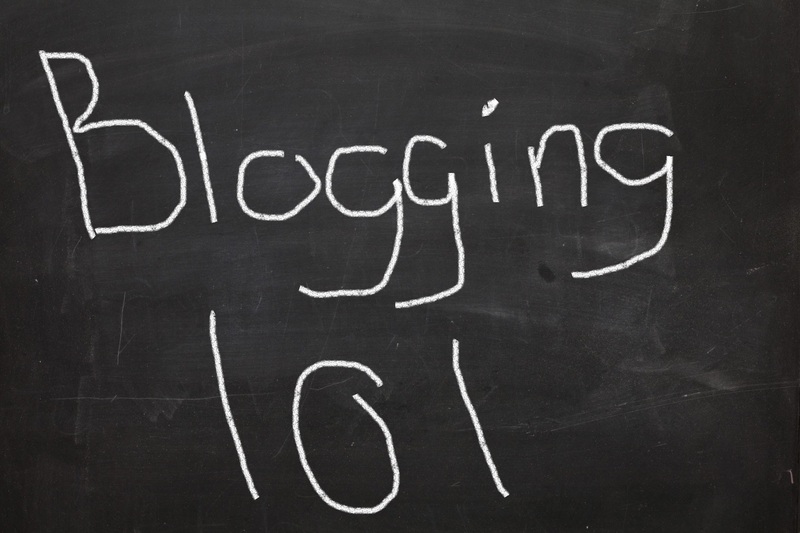 Making money with my blog. Alright, now – for those who have decided – for the moment – to stay with me a bit longer, here is the expansion on . . . well . . . everything conjured in your mind; or at least my mind, on each of these. What if I published something two years ago, or last year, but think it’s worthy all over again? Is it cheap? Too easy? Boring? And worse, irrelevant? And ultimately, so what? It’s my blog, right? If my first intent is selfish, say, to at a minimum practice my writing, then so what. That’s much of what I do at Ask A Hoosier. Let the real professional writers do it better; do it the right way. Let the rest of us do it for ourselves and for the practice. We might even get better at it; maybe even good at it someday. Maybe someday we (and when I say ‘we” I mean “I”) will not even think of re-posting; we’ll develop prolific-ness and write every day and without end. Maybe even be good at it. Maybe. I am a wordy guy. It’s miserable. I’m miserable when I think about it. I swear (which I think I should not do), I can’t even get a personal email or LinkedIn response out to somebody in one sentence. I’d swear I can’t do it. You’d swear, “The guy can’t shut up, trim it down and be concise.” If they say a good blog ought to be no more than 700 words, I’m shot. A zillion words minimum is it for me. Usually. 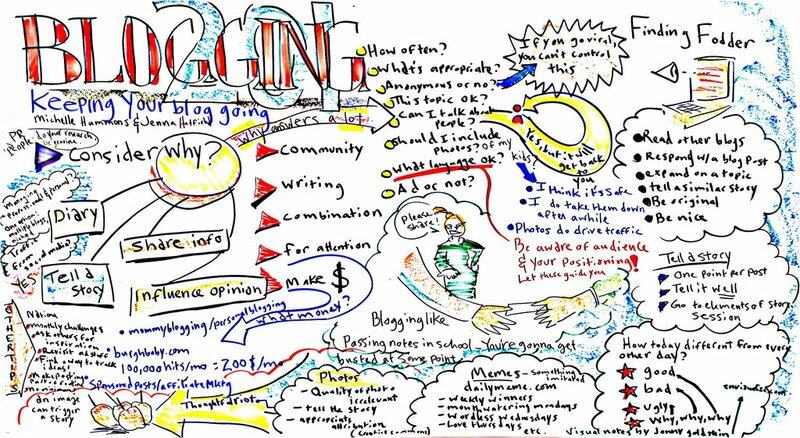 How can I monetize my blog? I know, I should know this by now. No, I should have been doing this by now. I know. But I haven’t. But take a look: My site address still has “WordPress” in it. I am totally clueless, and admittedly, probably from a basic lack of research on this. I have seen some pretty fancy blogs, and mine (apparently) isn’t one of them. I knocked myself out paying for a logo and that has seemed to be all I could handle. There are several reasons for this. One, I am not [really] a computer guy; I am not e- or IT-savvy; not really. But I kind of wonder if the Peter Principle has come into play: I may have reached the pinnacle of my IT-incompetence. Maybe so. I suspect so. No matter, not really. I still get it done. But the one thing I haven’t gotten done is make money – selling ads, selling T-shirts, getting set up to accept donations through PayPal. Lazy, maybe, but I don’t think so. Uncertain maybe. But anyway, I haven’t done it yet. I am about to, now that I am 1) a little more experienced, 2) a little braver, and 3) a little poorer, and hence 4) a little bit bolder and don’t care what happens, i.e., what the response is. What are they going to do, after all? Stop reading? Stop buying? Well, anyway, T-shirts is where I am headed. I have two designs I am sold on, so I am developing those. Watch for them. Then buy one. Please. And yes, I’ve got my head mostly out of the sand: I know I’m not going to get rich selling two different T-shirts. I just have a hankering for this; it’s my thing. You might even say “passion”, so it’s what I am going with. We’ll see where it goes from there. Keep watching. It’s all a work in progress – a live, real-time experiment. 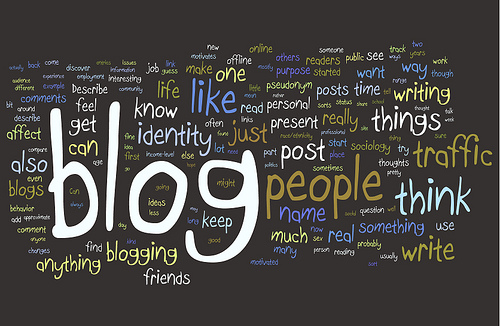 I think this must be the crux of “blogging your passion”. Of course, it has all to do with what you want to accomplish in the first place; what you’re doing it for in the first place. If you don’t tell your story, it will never be told. My intent is not to draw you into a biblical discussion (although I do depend on that personally for my grounding and direction). My intent is not to abuse scripture or offend anyone (most anyone) who may be better schooled in the subject than me. My intent – from a selfish view – is to relate to the idea; to identify just where I come from, how and why. Your story is unique. It will not be told unless you tell it. Every life, every experience within is uniquely individual and by definition, special. And worthy. Worthy to be told? To anyone and everyone? Well, from the perspective of public consumption, I don’t care. I understand the First Rule in Writing is to write every day. I also understand a rule of life is that if one writes – that is, gets it out – it is, at least in theory, therapeutic. That’s where the idea of a diary came from, I suppose. Get it down and get it out. Same for exercise. Get out and move. So what if – this is worst case now – I write for myself, my own sake, and I re-post once in a while. So what? I say do it. Enjoy it. And practice. Then practice and practice some more. If you want to see what I’m talking about, really, in the flesh, check out AskaHoosier.com. And remember – I have already told you this is a live experiment. And it’s just practice. By the time you’re finished reading this, I will have three more challenges I am wrestling with. I‘ll try not to be afraid to confess them to you. Maybe it will help a little. This is the final piece in a five-part series, recalling, from a personal perspective, the days of September 2001 and following. Continued from Part IV, “Faruq“. And it went from there: A pilot based in Nashville . . . disappeared days after the attacks . . . . no trace . . . one of many suspects . . . unaccounted for . . . wanted for questioning . . . the 20th hijacker . . . others not yet identified . . . . . . and on and on. If there were ever a time when I actually did need to pull my car off to the side of the road, this was it. The problem was, I was sitting in a left turn lane in afternoon rush hour traffic, waiting my turn to get on the highway. There was nowhere I could go. But I felt like I had to go somewhere. I had a rush of emotion, of confusion, of fury. Just like that very day, again I was stunned. But this time there was a new feeling that hit me. I felt betrayed. He talked to me about what now seemed to be this very thing. I was the one he talked to. Me. It was nearly as powerful for me as everything that had happen on September 11th. The FBI Special Agent-in-Charge who came to Jeppesen to interview me turned out to be a friend and former colleague of mine. In the first year I lived in Denver and while I attended graduate school, I worked an assignment (I was an Air Force Reserve intelligence officer) for the FBI as an intelligence analyst with the Metro Gang Task Force, doing our small part to combat the drug war as it came into the Denver suburbs from California and Mexico. “Carl” was now working in a different division, still in the Denver office, but had clearly performed well and had built on his already high reputation. He was now in white-collar crime but was asked to head up the Denver-area investigation in this global terrorism case. We had not seen each other since the spring of 1995 and it was a bittersweet reunion. Because I had an active security clearance, he and I were eventually able to discuss things on a level that others in my position could not. That I happened to be in sales at Jeppesen, knew “Carl”, and had a clearance was altogether coincidental but fortuitous. It was agreed that I would, for a few days, be off my normal sales work at Jeppesen and would put my analyst skills to work on reviewing records, conducting link-analysis and try to come up with some useful conclusions with the advantages of both my previous experience and my knowledge and understanding of Jeppesen database tools. This was a brief task, and investigators moved on quickly; it appeared as though nothing really developed from those efforts. I’ll never know. In the end, Faruq was deemed to be by all accounts innocent. As far as the Authorities could determine, he was as so many during those terrible, tragic, and chaotic days. It looked bad for him, but apparently, he was simply just in the wrong place at the wrong time. It was reported many weeks later and repeatedly in a type of “where are they now?” report that spanned the national new media outlets in various versions. In all likelihood, he did what many did – he fled the country as fast as he could, not wanting to take a chance at getting caught up in something he was not part of in the first place. I do not know how he did it. As for me, I have to admit I still harbor my doubts about him. It was all too close as far as I was concerned, too coincidental to be unrelated. I remain uncertain either way now, and cannot quite say exactly what I believe is true about him. But he is gone now, by all accounts, and that day is past. But not ever completely. In these intervening years I have realized I am quite alone it seems, in my perspective on the term “9-11.” This realization was furthered this week when my wife and I watched a wonderfully produced and powerful special program by Fox News, Freedom Rising that attempts to encompass September 11th in its entirety, its centerpiece being the rebuilding in New York. There are many names now, including the “9/11 Foundation” and the “9/11 Memorial”. The general reference “9/11” has been commonly adopted and is essentially universal. So, these years later I find myself not quite as committed in my rejection of the term; perhaps even a bit more accepting of it. What results for me is the awareness of a slight sense of disappointment in myself because of it. I know that so much of that is – and was – driven by how I felt at the time, and for the most part, I have not changed in that regard. It is clear that our feelings – emotions – while incredibly important and so should be given due respect and attention, are real and important, but they must not drive our judgment or decisions. Reality and responsibility must dictate those, regardless of our ever-changing feelings. The truth remains, and duty remains, regardless of how we feel or what we think. And so they do, even these eternal years after. On May 10th, 2013, the final component to the One World Trade Center spire was placed, and at a height of exactly 1,776 feet, made it the tallest structure in the western hemisphere. Here is a video of that historic event. The United States of America has always been about new beginnings – starting over, trying again, creating, building up, and going on. It has been a central part of the fabric of our nation. Every one of us has wanted it or perhaps needed to do that at some point in our lives. Certainly I have. Each of us individually makes up that fabric. But not just us, but all those who came before us; from those family and friends we know now, who have come here to join us during our own lifetime, to our ancestors who forsook Leiden in the 17th century to embark on a most hazardous journey and yet one full of promise. Promise – fully the reason they came here. The promise of a new future. You may select this link to read the original piece, September 11th, published in September 2009. More reading about One World Trade Center, here. You may find information about the National 9/11 Memorial and Museum here. You may read about the National Park Service Flight 93 Memorial site here, and support here. You may read about the official Pentagon 9/11 Memorial here, and support here. The second in my republished “Grandmothers” series. Perhaps you will read this, relate to it in some way, and fondly remember your own Grandparents a bit. What incredible, special people they are. She was 91 when she passed away, and she made it clear she was ready to go. She was happy, but she missed my Grandfather, Donald Watson Conner, “Daddy Don” very much, as he had gone a few years before and she was ready. She was a kind, gentle, and quiet spirit, and she was also plain-spoken and pragmatic, even tough, perhaps. My paternal Grandparents were married nearly 61 years. My grandmother, Muriel Joy, or to us, “Mama Joy” loved birds and so, bird-watching. My memory tells me her favorite bird was the Black-capped Chickadee. Because of this, I see this small, fragile, yet super-active, energetic and happy little bird as the most perfect representation of my Grandmother. To me, they are one and the same. Even now, as I approach the age she was when I was born, when I see or think of a Black-capped Chickadee, I see her. Today, I have her field guide to birds – her bird book – on my bookshelf. As material possessions go, it is one of my most treasured. 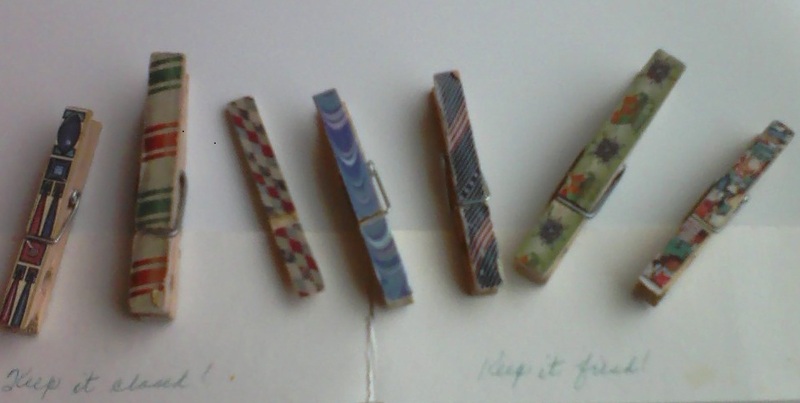 I also have a set of seven wood clothes pins she sent me, with colorful paper strips glued to the smooth, flat sides, clipped to a note written on cardstock in green ballpoint pen, “Keep it Closed!” “Keep it Fresh!” These are more valuable to me than most things I own. Keep these things if you have them, whatever they may be. They do something for us – these things from our Grandparents, people we love. Keep them and treasure them. They do something to help us slow down a bit. They help to remind us, they regulate us, and they calm us. They do something to draw us back in and even for a moment, away from the busier, distracted life that we live, perhaps so far from where we started. If you have a note from a Grandparent – or anyone you love – keep it, read it. Then use it as a bookmark in a favorite book. I keep all such “important papers” in my books. As the books we read often hold so much about life, love, relationships, challenges and trials, great mysteries and great learning – all the stuff life offers, they make a good place for such treasures. So keep them. Then pass them on to your children and others you love – at the right time – and tell the stories that go with them. Mama Joy also loved to rake leaves. She hired my brothers and me to rake leaves at their farm, where there are five acres of yard and trees. That’s a lot of leaves. Her love of this particular task I did not – and do not still – share. She had told me at one time all she needed in heaven was a rake. When I read this at her funeral, I had one of her rakes with me, brought from the barn, and leaned it against her casket as I spoke. Quite unorthodox, I know, but it represented her well. At some point during the funeral, we, her grandchildren even discussed whether or not we should bury the rake with her. We decided not to, believing she would have said we need it at the farm. As I said, she was pragmatic. Ours to remember in careful thought…lest we mourn a bit too much. Her parting – it pains, though just for a while. The Joy she hath brought floods our memories, our hearts. Think of the sounds – her voice in that place. And the work of her hands – became a family garden for us. …her dwelling and thriving these many, many years. And gone now only in ways that require our physical senses. That fount of life, of love, and Joy remains. Yes, our Joy, Sweet Joy remains – in heart and mind. And in each other – look ‘round, now to see her. Sweet Joy is cast in each kind face here – her life inseparable from ours. and your passions are upon our hearts. you with your groom and your children about. Your Joy – our Joy is full and complete! Each of these pieces I wrote some time ago, about my grandmothers, each sometime prior to their respective passings. I knew, with each one, their time was drawing near. I’m sure they knew it, too. As I had done at each of my Grandfather’s funerals years ago, I wanted to speak to – and on behalf of – our family and friends at my Grandmother’s funerals, and try to express how we all felt about them, how we remembered them, how we loved them. This is the first piece, written for my mother and siblings about my maternal grandmother, Callie Dorothy Yeager, or simply, Mama Dot. She was just over 99 years young when she died. She and my Grandfather, Edwin Yeager, known to “us kids” as Papa Ed, were married for 63 years. Perhaps you who read this can relate, and fondly daydream about your own Grandparents a bit as you read. The broom makes that distinct and familiar swish on the concrete. She has sprayed the walk and sweeps it clean. She moves along to observe the ivy bed – there is more to do, of course. He’s across the street, talking to Ralph. When she’s done, she heads inside to make BLT’s and cottage cheese salad – a half of a canned pear lying on top of the creamy white mound – and iced tea. Then she moves the louvers on the window above the sink out of the way and opens the window. “Right now’n a minute” was her reply, without fail. And we knew – you might as well go sit down. It’s been done for a while. If we stall, she’ll just command, “You kids get in here and sit down. Dinner’ll be ready, right now’n a minute.” So you might as well go sit down. Ty and I would sit on the dark front porch enclosed in glass jalousies on three sides, the perfect spot to watch the cars come and go in the night. We would name the brand – and model if we could – by the taillights. The sixties were easier. The dramatic lines of the late 50’s and early 60’s, like the rocket ship-inspired rear fender fins, made it easy. Then silence again. Until the next one. “OK.” Then we play this game for a few minutes more. But we know what it really means. So we finish and go. This phrase of hers was almost always tied to a meal, though it was handily applied to most every situation in life. And while it might have sounded as if it were left open to interpretation, we really knew exactly. It meant now. “You better not!” Mama Dot warns in jest. Or Mariette is getting ready to leave after a long afternoon of visiting and doing laundry, which, of course culminates in supper, before heading back to the dorm to study. Mama Dot is folding her clothes in the basement. Mariette can hear the sound of her slippers on the steps, and as she comes up, she says, “I’ll be done with the folding, right now’n a minute. Run, give Papa Ed a kiss before you go.” Mariette’s already there. “Why, Ty, where’d you come from?” Her smile never waivers, and neither does his. He has her family name – and her heart. “Oh, Mama Dot! You know you’re my best girlfriend.” And it was true. And she knew it. She was filled with joy and contentment with the arrival of Jayne, as though this altered situation of having her one greatest prize in life before her finally made everything good and right. And I guess it did. That’s all it really took to make their world complete. She lived these last some 13 years without Papa Ed, and though she missed him daily, she was generally content with her world – as much as we could tell, or as much as she would tell. She seemed to live in a state of patient waiting, as if in a final stage, just for a while longer. She was cheery and peaceful, always agreeable and pleasant. She was neighborly and interested in the people around her. We called and wrote and visited, and Mom kept her up to date with the latest pictures and news. She didn’t dwell on Papa Ed, but she waited patiently in devoted anticipation. I’ll be there right now’n a minute. The sun rises slowly in the east. to warm a soft and happy face. It’s early, and her ritual has begun at the window. It’s early, and the cool morning air whisping through the trees. are the only sounds outside. She’ll have breakfast ready, right now’n a minute. Right now’n a minute, the day will awake. And her hours will be filled with work and love. her joys and tasks commingled. It is in her husband, and daughter, and grandchildren. They are her work and her love. I can almost hear her answer. Your work is nearly finished. You’ll be done, right now’n a minute. The evening of her days has come. The warming, glowing sun is setting. the sound and light fade softly and ever so gently. Her years have been filled, her life has been filled. Her waiting is nearly done. just a little while longer, to hold her daughter’s hand. Words of love fill her ears. Dear voices and faces fill her world. She’ll be there, right now’n a minute. and her new day beginning. perhaps she spoke her familiar words once more. Beginning in early August 2001, I started a month-long conversation with a pilot of Middle Eastern origin flying a business jet out of Nashville, Tennessee. I was assisting him with plans for a Nashville-to-Saudi Arabia trip to be made sometime in September. He required what I considered to be standard materials – a trip kit – a one-time purchase – guaranteed to be current (legal) for a relatively short period of time, say, 14 days. He needed this because he was not a regular subscriber to “Jepps”, Jeppesen instrument flight charts, in simplest terms. He would also require electronic NavData for his GPS – Global Positioning System. The trip kit would be in paper, and would be quite a stack. Every “plate” – essentially overhead views and profile views, technical “drawings” – somewhat akin to architectural blueprints – of how to fly an approach into an airport, how to depart from one, and how to fly in between, all with the intent of not hitting or even getting close to anybody else. When printed, they are on what I would call “Bible paper”; a half sheet and of the same type and feel. Electronically, they are displayed through a device on the cockpit instrument panel. Any ten-year-old kid would these days recognize it. Faruq would need the charts for the Eastern United States, Eastern Canada, HI and LO altitude, crossing the Atlantic, Western Europe, and finally the Middle East. His “NavData” would consist of two separate data cards each of which looked like a super-thick plain, black credit card with gold contacts on one end. Then add in the flight planning software. Pretty expensive package, all told; say, four-to-five figures, in the low-several thousands of dollars. As much as it costs, it’s pretty routine for private and business jet operators. Now, it’s done in a much more integrated, even higher-tech fashion, with more electronics and less paper and other objects to worry about, but the costs are still about the same – high. A brief interlude, and a bit lighter view of the subject for a moment. Guys (they are usually guys…) who own the jets they fly, as many do, or at least fly on, may be different than most of us, but in many ways, are not so different. It’s that thing about putting your pants on one leg at a time. I know a guy in Casey, Illinois (about 30 minutes west of my hometown in Indiana) who owns a manufacturing business with a few locations around the country, so, for many reasons, he chooses to own a jet. It’s a Lear 25-something-or-other (I can’t remember exactly now, it’s been too many years) that he keeps in Bloomington, up-state. First, he can afford it. Second, it’s a practical matter for him. Who wouldathunk, right there in Casey, of all places, where my aunt Mildred was nurse at the high school for 50 gazillion years. Well, you gotta be from somewhere, and you gotta live somewhere. Might as well be there. I appreciate that he chooses to remain living in his hometown (something I have not done). I know another guy, I’ll call him “Viktor.” He is a Russian art collector (ancient religious iconography is one of his keenest interests), investor, and philanthropist. He lives in a few places, to include London. So, he also has a jet – A Gulfstream V, if I recall correctly. Huge, expensive, beautiful, yaduh, yaduh, yaduh. He (and quite a few others) reminds me that immense personal wealth is (or at least can be) a very good thing. Statistics demonstrate that such people, their trusts and foundations, their direct personal giving and so on contribute with enormous impact. Viktor does. By-and-large, it seems to be their nature. While they can certainly live the way they want (which is by the way, what most people aspire to achieve), they tend to be the financial drivers of positive change in most communities, and they do it freely. I am surely glad for what they are able to do and choose to do. Viktor once called me to continue working on arrangments for a ’round the world trip. It was to be partly with his wife and the plan was to mix business and pleasure: Donations and lending of art to various galleries and other philanthropic engagements and some sightseeing, some aircraft business and so on. It would start in London and on to the heart of Europe then east to Moscow, down to the Persian Gulf, back to several cities in Africa (charitable foundation and art world stuff there), then Brazil, then Dallas or Savannah (again foggy memory) for some extended refresher training in a G5 simulator and an A&P course (Airframe and Powerplant mechanic certification stuff), then New York and finally home to London. Partly with his wife because he did not want to put her through the solo time while he was getting trained and recertified. That would be sorta like asking your wife to stand in the back yard and watch while you try to assemble then try to use a new weed-whacker. She’s got better stuff to do. So when he called, he was in Africa – for pure personal fun this time. I swear, I pictured nutty old uncle Ernest Hemingway, phone in one hand, Winchester .458 in the other, multitasking with life itself, oblivious to what could happen next – to himself or anyone near him – and having a good time doing it. If I had heard a huge KaBoom! right then and there and a bunch of panicked yelling I wouldn’t have been a bit surprised. I liked his Russian English, but he was often frustrated by it. Many times he put his very proper English wife on the phone with me to sort out what he really wanted to say. She replaced his heavily accented and numerous “I’m sorry Michael”‘s with that intoxicating and wonderfully flowing Queen’s English. I truly didn’t care what the words actually were; they could have been made up for all I cared. I just listened in a sort of trance. At that point it was just 8-year-old me lying in bed and Mary Poppins singing something about about tuppens and cough syrup, lulling me to baby-sleep. I could have had her translate Viktor for me for the rest of my life and been pretty happy about it. Anyway, during that global trip, he ended up calling me from Sky Harbor Airport in Phoenix. He was in the midst of his wealthy, luxuriant frustration, agonizing over a very expensive broken gadget-thingy, and needing another trip kit because now his jaunt was going to be extended by a week or so… IF he could get the very expensive gadget-thingy fixed. He would say his immense wealth was rapidly depleting with his questionable decision to some wear some of his multiple hats. His response was pretty down-to-earth and relatable. I guess crap feels the same for everyone, regardless of where it comes from. That “Faruq” was in need of a Jeppesen Trip Kit was in itself somewhat odd in that virtually every business jet on the planet that regularly flies internationally – which this one did – requires Jeppesen procedures, whether paper or electronic, and Jeppesen electronic NavData for their on-board navigation systems. Jeppesen is (or at least was at that time) the only producer of such information and electronic data on a worldwide scale. (Other businesses, such as SwissAir, and some governments produce regional information for internal consumption, but nothing on the scale of Jepp). 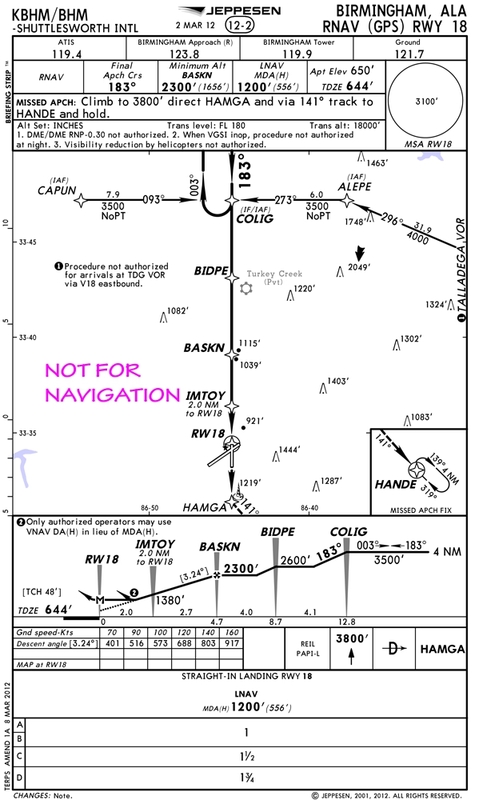 If someone is to fly globally, they have to use Jeppesen. My memory of all the fine details of this event is not as clear as it was ten years ago; I think my conclusion must have been that this was a newly acquired aircraft and perhaps flying “home” so did not yet require any subscriptions. A trip kit would suffice. So our conversations continued. We spoke regularly – two to three times each week. 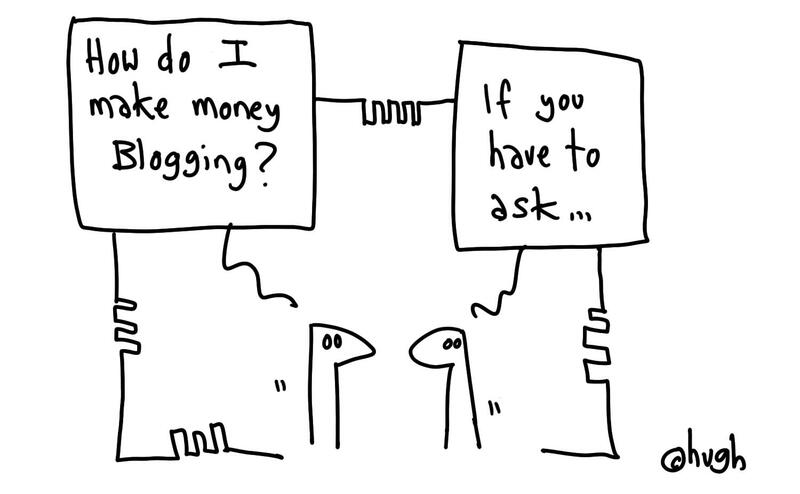 Eventually, what became the most outstanding aspect of those conversations was the thing that led to a standstill: money. Normally – routinely – Jepp takes this type call all day long, every day. These people pay right now. If they can afford this aircraft, or if their company deems it necessary to have it, they can pay, and they do. The people who fly on a company aircraft from Seattle to a meeting in Minneapolis or from Teterboro to London, or the guy who flies a family-owned G-4 to the Kamchatka Peninsula to go salmon fishing, or the small but very hard-working, very successful factory owner – say, a foundry or electronic components, or wiring harnesses, or industrial hydraulic pumps – and he’s the guy from Casey. He owns his Lear because it’s what’s needed and not because it’s fun – and flies from Bloomington to Columbus to Little Rock to Dayton and back home all in two days – they all have established themselves and their businesses financially enough to pay for their flying. But not my guy, Faruq. What first stood out about him was how exceptionally polite and articulate he was. Not that he got the Queen’s English exactly right. Lord knows that we Hoosiers (or maybe just we Hoosiers south of I-70) rarely do that. He had his grammatical foibles, but he handled his english a lot better than I would have handled my Arabic. It was his presentation that stood out more than anything. And it developed into an upward spiral. The more polite and appreciative he was, the more I enjoyed speaking with him and helping, then, in return, the more pleasant he continued to be. And so it went. But somewhere after our second or third conversation, the calls began to end with projections and anticipations of when and precisely how payment would be wired or a company credit card would be provided. By early September the calls were coming almost daily. He became very apologetic and began searching me for alternative ways to get the materials shipped on time; he had a hard deadline he had to meet. He would say, “We’ve got to go by . . .” or “The boss needs to depart no later than . . ” and he became more and more animated in his expressions over the phone, making it clear this was extremely important and he was becoming desperate, caught in the middle. But invariably we would end up rehashing the fact that I could not ship anything without full payment. It had arrived at a place that was entirely uncharacteristic of business jet operators. It was then that again he would apologize profusely and assure me he was doing everything he could to arrange payment but it was difficult. It was clear to me that moving payment from “Saudi to here” would continue to be fraught with snags. For whatever reasons, a credit card couldn’t do it. Cash converted to a cashier’s check couldn’t either. Neither could a wire. So the order never went. Our last phone conversation was sometime during the week of September 3-7; I do not recall exactly which day. Faruq expressed the slightest bit of hope that a wire transfer could be made, but he also spoke with what stood out to me as an undertone of resignation, as if he knew the trip he needed to take so badly – or the trip he was under such pressure to complete – would not take place. He was friendly and polite all the while. He thanked me and I thanked him and wished him the best. Over the weekend, as he occurred to me only as an after-thought, I expected to hear from him Monday, September 10th, but didn’t. Then of course, it was Tuesday.